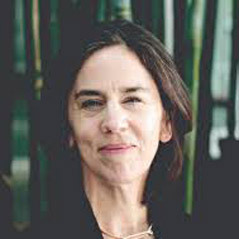 Connie Butler is the Chief Curator at the Hammer Museum, Los Angeles where, since 2013, she has organized numerous exhibitions including the biennial of Los Angeles artists Made in LA (2014), Mark Bradford: Scorched Earth (2015) and Marisa Merz: The Sky Is a Great Space (2017). She also co-curated Adrian Piper: A Synthesis of Intuitions which opened at MOMA in April of 2018 and will open at the Hammer in October 2018, and Lari Pittman: Declaration of Independence which opens at the Hammer in fall 2019. From 2006-2013 she was The Robert Lehman Foundation Chief Curator of Drawings at The Museum of Modern Art, New York where she co-curated the first major Lygia Clark retrospective in the United States (2014) and On Line: Drawing Through the Twentieth Century (2010). Butler also organized the groundbreaking survey WACK! Art and the Feminist Revolution (2007) at the Museum of Contemporary Art, Los Angeles where she was curator from 1996-2006.